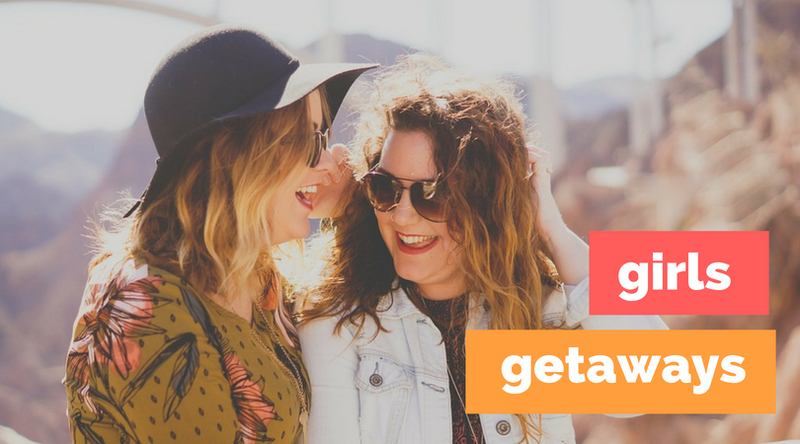 A ‘girls’ getaway’ is a great opportunity for groups of women friends to catch up and have some fun away from the hum-drum routines. The Western Cape has many fabulous escapes for the ladies, featuring spa and yoga experiences, great wines, spectacular scenery and exhilarating activities in nature, and glam city experiences. 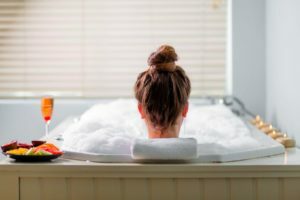 Here Exclusive Getaways brings you some suggestions for where to stay on your next ladies’ getaway, with accommodation ranging from catered accommodation in hotels to self-catering lodges and apartments. 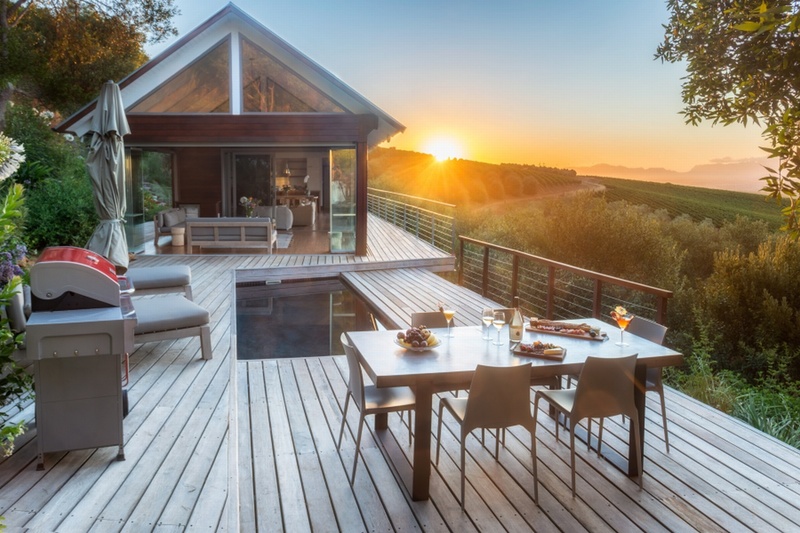 Bush Lodge at Hidden Valley is an appealing home-away-from-home in the Stellenbosch winelands, secluded on the slopes of the Helderberg on the Hidden Valley wine estate. 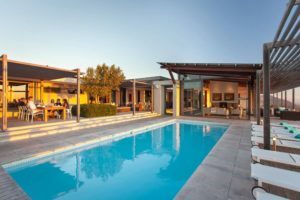 The lodge has 3 bedrooms and sleeps up to 6 guests, and is available on a sole-use basis – a great option for half a dozen friends in search of a luxurious self-catering haven in wine country. The main lodge consists of the main bedroom en-suite, plus equipped kitchen and living areas, whilst the cottage beside it has two bedrooms. The two areas are linked by a pool deck with stunning views. Enjoy wine tastings, cellar tours and restaurant dining at Hidden Valley Wines. Mail us. 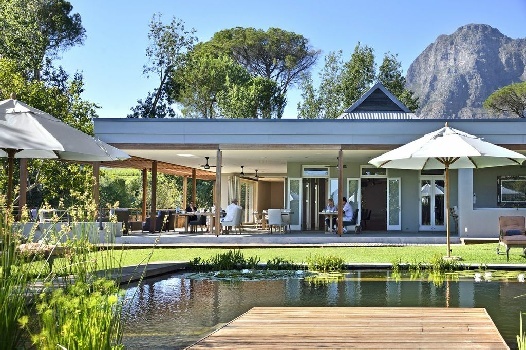 Round up a few yoga friends and book a yoga retreat at Angala Boutique Hotel & Spa in the Franschhoek Valley. The next scheduled yoga retreat is on 17-19 August 2018. Priced at R5075-00 per person sharing or R6655-00 single, the package includes two nights of luxury accommodation, all meals (vegetarian), Kundalini, Hatha and restorative yoga, gong and crystal bowl relaxation, and free time for exploration. Mail us. Babylonstoren is a mega-experience made up of luxury living on an historic wine farm, fine food – and wine of course, a magnificent spa, and a garden that beats any other hands down. The estate offers numerous sumptuous enjoyments to women intending to indulge themselves. Among them is a garden tour to awaken your senses as you pick, taste, smell and touch some of the 300 plant varieties in the garden – each edible or having medicinal value. 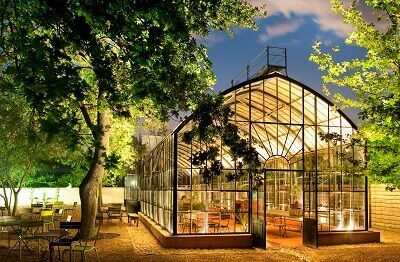 Produce harvested from the garden finds its way onto your plate at Babylonstoren – at Babel and at Greenhouse, the latter a picnic-style eatery set in a vintage conservatory and ideal for great food, coffees and chit-chat. The Healing Tea Ritual is another wonderful experience for a group of friends to share. Mail us. For a ladies’ night away with a difference, opt for the rooftop trailer park at the Grand Daddy, an extraordinary experience in Cape Town’s fabulous Long Street, in view of Table Mountain. Seven Airstream trailers all have their own distinctive theme, inspired by landscapes around the country and collectively depicting a South African road trip. Each trailer has a queen-size bed, wet room with a shower and WC, TV, air-conditioning and bar fridge. Grab a glass of bubbly and catch a movie at the Grand Daddy’s open-air Pink Flamingo Rooftop Cinema which is set among the trailers. Enjoy meals, cocktails and wine, coffees and desserts at the hotel’s Thirty Ate eatery. Mail us. Self-catering can be a good idea for groups of friends catching up over a couple of days. Head for Hermanus and get in some whale watching and hiking during your girls’ getaway. The Whale Coast All-Suite Hotel provides attractive self-catering apartments in Hermanus, with stunning mountain views. 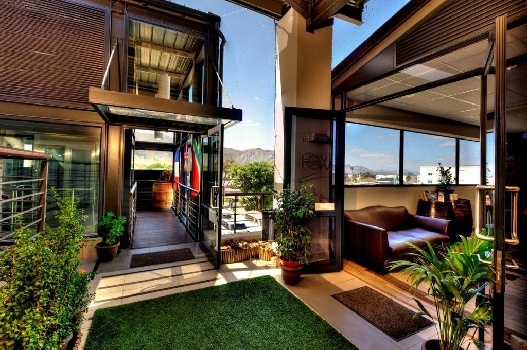 The apartments have 2 or 3 bedrooms, luxury bathroom, equipped kitchen with dishwasher, and open-plan lounge/dining area opening onto a balcony with braai facilities. The apartments are centrally situated near eateries and coffee shops, boutiques, and tons of outdoor activities. Mail us. If your’re wanting an outdoorsy kind of girls’ getogether, what better setting than De Hoop Nature Reserve. It’s a very pretty three-or-so hours’ drive from Cape Town and once there, you’re surrounded by marine reserve, dunes, vlei, plants and animals. De Hoop Collection offers a variety of accommodation in the reserve, ranging from luxury catered to self-catering cottage-style accommodation. 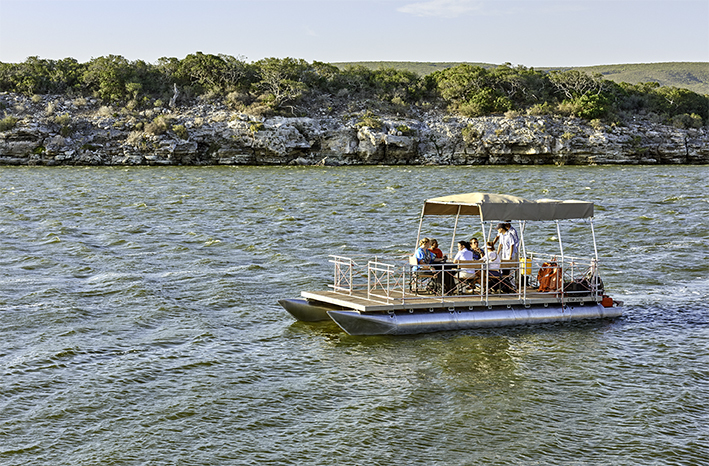 Enjoy being out and about, watching whales in season, mountain and quad biking, walking, swimming, birding, boating, stargazing, and visiting the nearby Elim wine route. Mail us. A great place to get away to in the Western Cape is the southernmost tip of Africa – at L’Agulhas where two oceans meet. 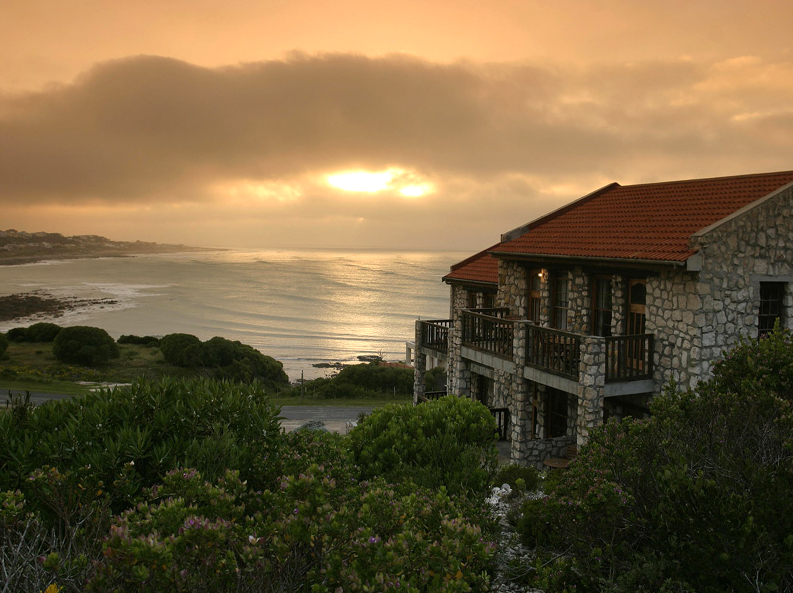 Your stayover place there is Agulhas Country Lodge, set on a hillside and presiding over the ocean. Here you will find 4-star accommodation with sea-view balconies, and you will lap up local country cuisine and fine Overberg wines in a candlelit restaurant overlooking the bay. L’Agulhas is famed as the meeting place of two oceans, and boasts the second oldest working lighthouse in South Africa. There is excellent whale watching and hiking in L’Agulhas, and safe swimming at nearby Struisbaai. There are several wine routes and nature reserves to visit in the area. Mail us. Here’s one that will offer the ladies a great escape in the country, along with live entertainment. 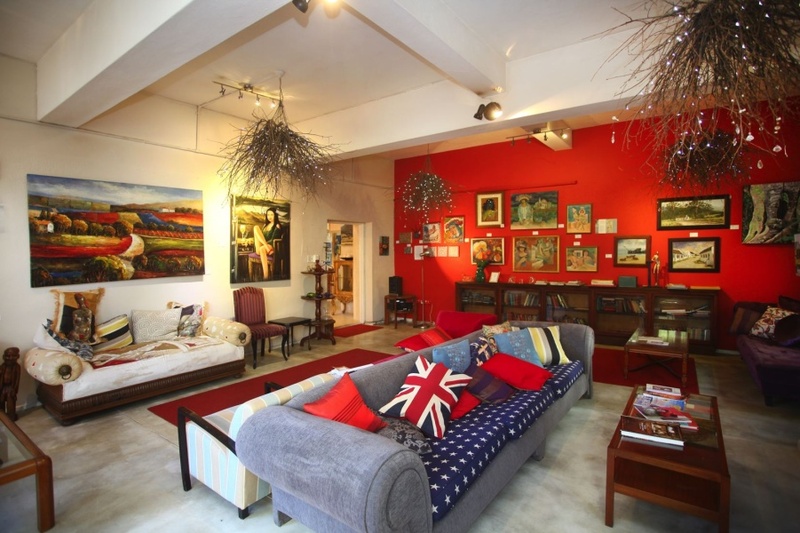 Karoo Art Hotel is a quirky and inviting country hotel in lovely Barrydale, situated on picturesque Route 62. The hotel is vibrant and casual, and a great place for extended evenings of chit-chat and entertainment. An engaging collection of art is showcased throughout the hotel, but particularly in the restaurant, The Gallery. A popular music venue, the hotel hosts a variety of performers, their gigs staged in the hotel bar – usually on Saturday nights. The pool-garden has its own delightful eccentricities and is a secluded spot for lazy Klein Karoo afternoons shared by friends. Mail us. Mail us to book your next ladies’ getaway in South Africa, or call 021 797 7122. Alternatively, book online with Exclusive Getaways.